The holidays are a time of celebration and unity! We embrace our friends and family for smiling group photos and impromptu selfies. But holding our loved ones close can introduce a risk: head lice! These tiny crawlers travel from scalp to scalp to find new hosts. An entire family can find themselves infested after an evening of merry fun.Another way that lice can spread this season is by sharing a bed or personal items (like combs, brushes, or hats) during a sleep over. The togetherness of cousins and pals makes the holidays special, but it also can be a gamble! If your children are attending a sleep over or party, do a scalp check to be sure they aren’t introducing lice to the party. Talk with other parents before the event and encourage them to do the same. Have a talk with your kids about selfie safety. Explain to them that head-to-head contact can expose them to lice. Encourage them to keep their distance for photos. Send your children to a sleepover with their own brush, comb, barrettes, and headbands. Make it clear that these aren’t for sharing, and they’re not to share anyone else’s personal items either. Check your children’s scalps after a sleep over or holiday party. 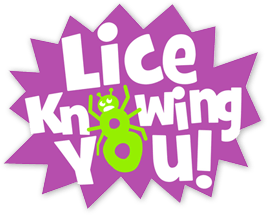 If they have been exposed to lice, it’s best to learn as soon as possible so they can get treatment right away. It can be hard to resist coming in close for a photo. And sometimes kids are going to share hair brushes and hats; we just can’t prevent it! The tough truth is that sometimes these can result in the spread of head lice. Well don’t freak! Just come see us. Lice Knowing You is the most trusted and doctor-recommended lice remover in the Western USA.